The 2018 Navigant Autonomous Driving Leaderboard shows a major gap between public perception and capability when it comes to autonomous-drive research. 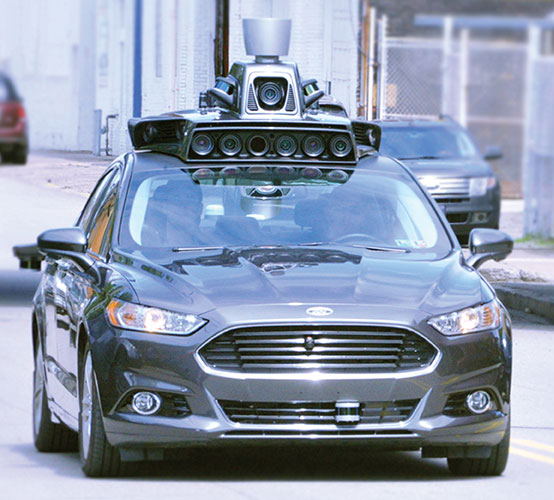 The self-driving status quo has been upended, according to a new study. The latest Autonomous Driving Leaderboard has been released by Navigant Research. It’s a visual indicator of the companies on the bleeding edge of self-driving technology. It also indicates which of them have the resources and industry clout to take their ideas all the way from the drawing board to the market. Take a moment to think about which companies you feel are closest to bringing self-driving vehicles to market. 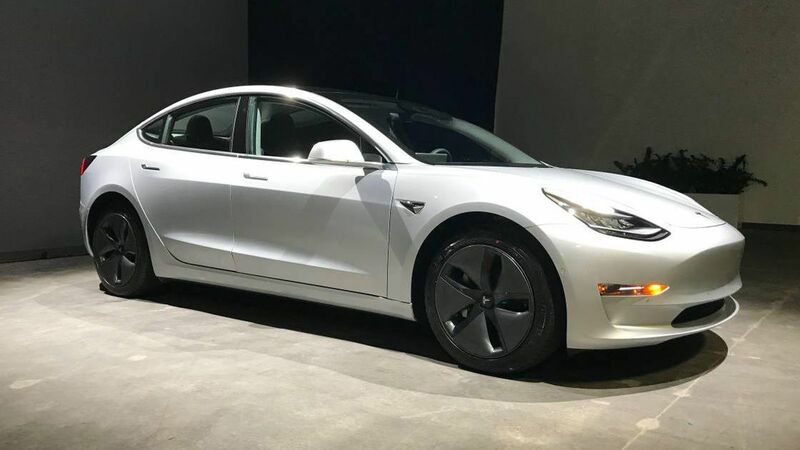 Names such as Tesla and Apple will likely come to mind first: Both companies are always making headlines and are considered thought leaders in tech. 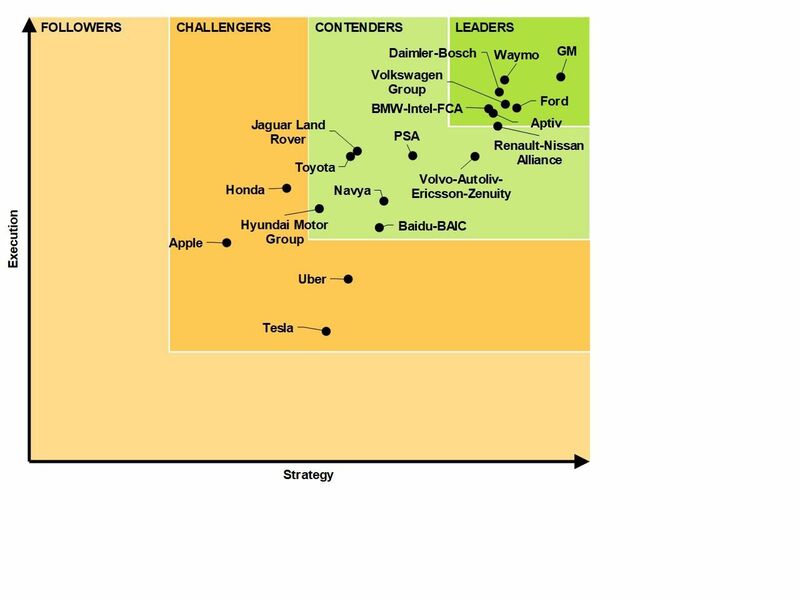 But it may surprise you to learn that Navigant’s study ranked Apple and Tesla at the bottom of the barrel when it comes to autonomous driving leadership. The study’s former leader of the pack, Ford, has now been relegated to fourth place as companies such as Alphabet’s Waymo and General Motors have doubled down on last year’s efforts and made up the difference. In its study, Navigant is quick to point out that Ford’s drop in position has nothing to do with its shortcomings and everything to do with more robust competition from the likes of Daimler-Bosch, BMW and Volkswagen-Intel. Chinese search engine giant Baidu has made strides with its Apollo program, bumping it from nearly dead last in the Challengers category last year to a strong position in the Contenders category. Aptiv has an improved rating, too, no doubt bolstered by its successful autonomous Lyft promotion at the Consumer Electronics Show in Las Vegas. With such a significant change to the top companies in this year’s study and autonomous driving technology’s rapid advance, I’m curious to see how next year’s results shake out.